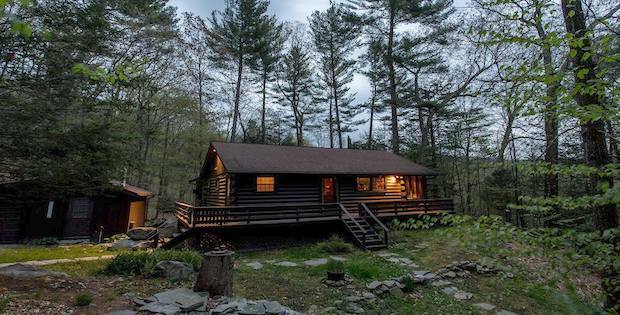 This all-season cabin has everything you need! 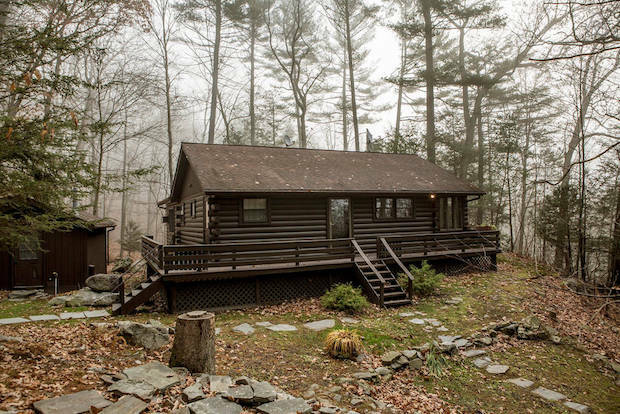 Built in the mid 1980s by a huntsman, this thirty-something year old cabin still looks great for its age! The beautiful, artsy touches all throughout the home says a lot about the owner — everything looks curated and tasteful. 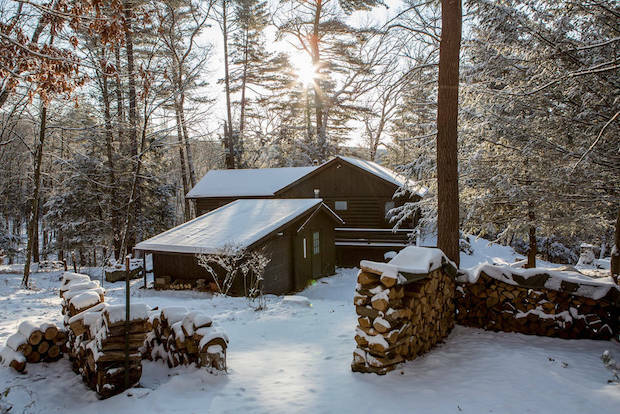 Gorgeous photos taken from above show you the 50-acre forest surrounding the home. See them in the next page. 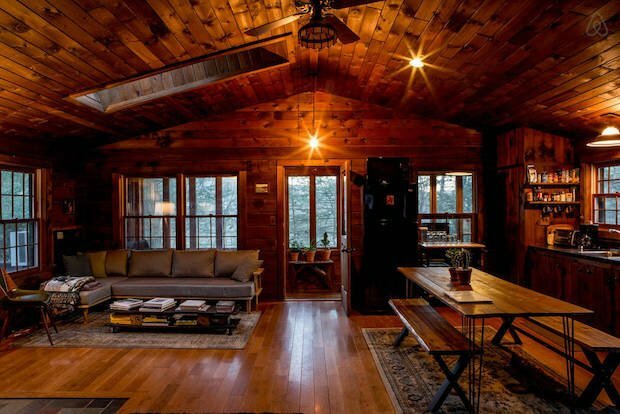 The Lumberland Cabin sleeps up to 3 people. 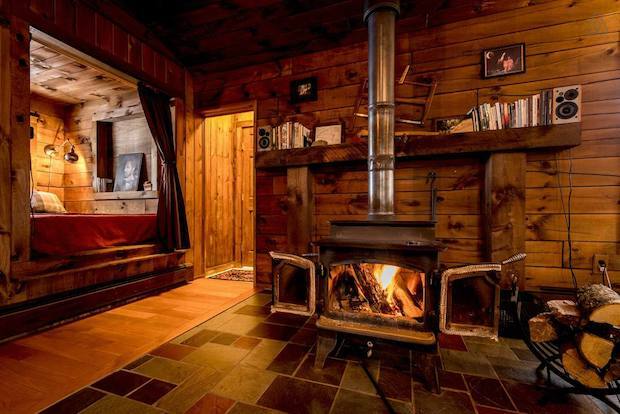 You can stay at this home for $175 a night, and it’s located in Upstate New York. There is a single bedroom with a queen-sized bed, as well as a sleeping nook for extra guests. 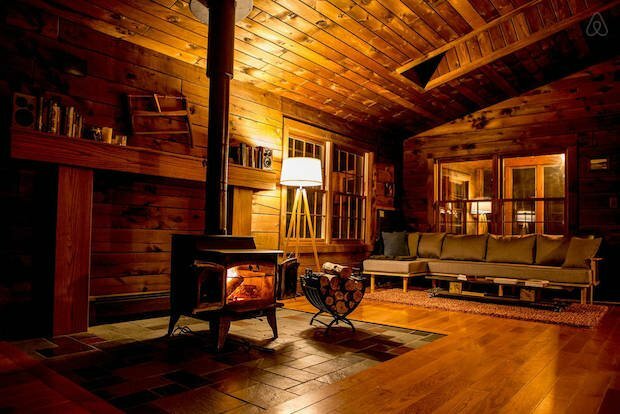 The main room houses a well-stocked kitchen and dining table, as well as a cozy lounge area with a wood-burning stove for cold winter nights. There is a small solarium room with a desk and reading chair. 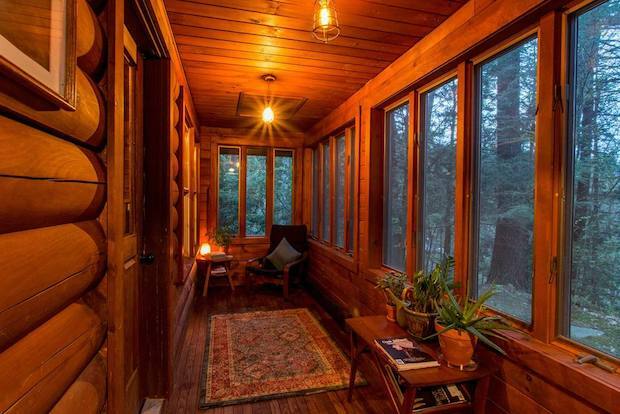 It’s the perfect place to get some reading and writing done.